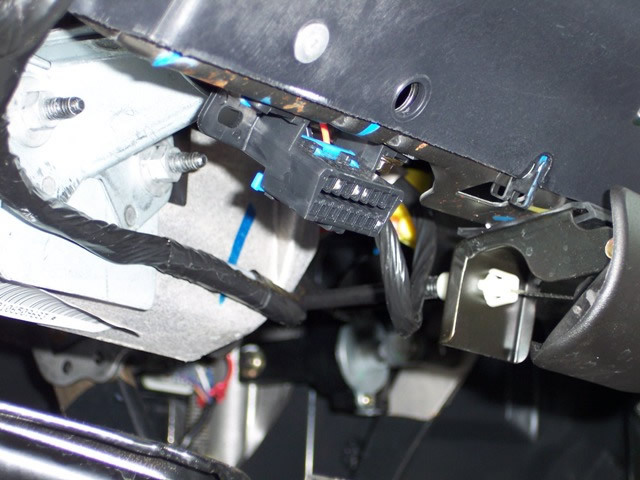 DOOR is a LIGHT GREEN/BLACK (-) Pin A2, both are located at the BCM, PURPLE plug. compartment to the LEFT of the fan shroud. 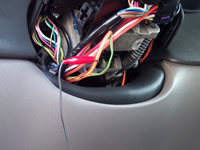 The TACH wire is in a GREEN Plug Pin 10. 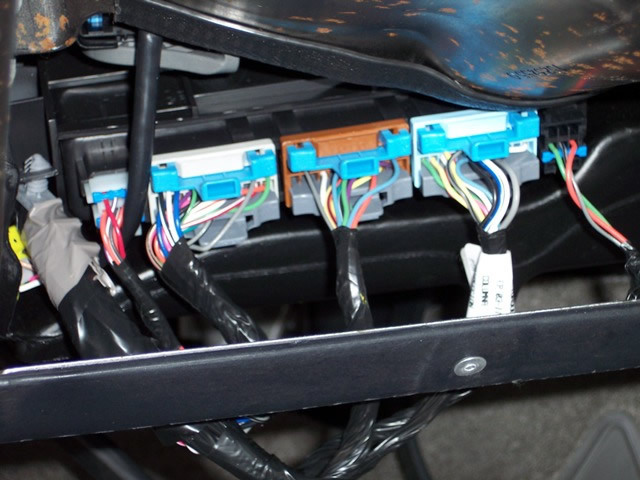 This picture shows the BCM Plugs and color of the BCM Plugs to help in identifing the wires for installation. 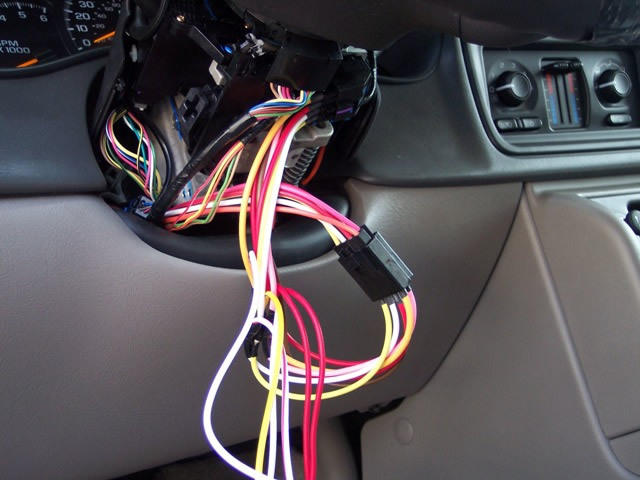 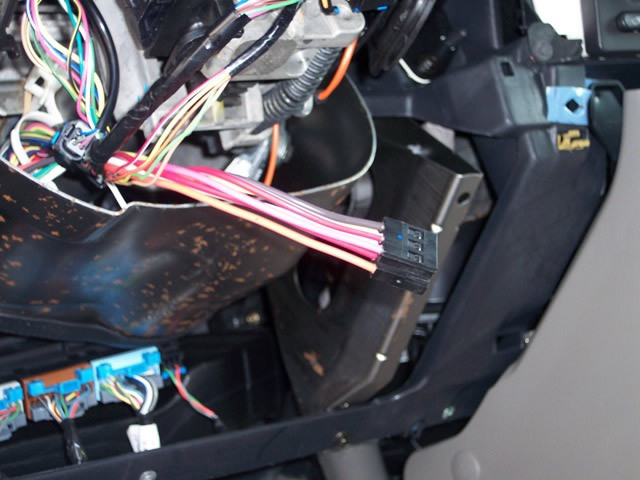 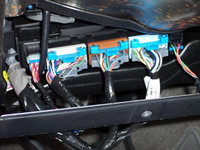 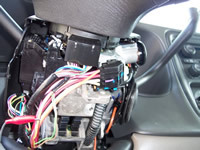 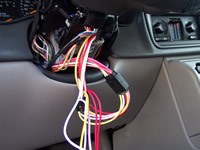 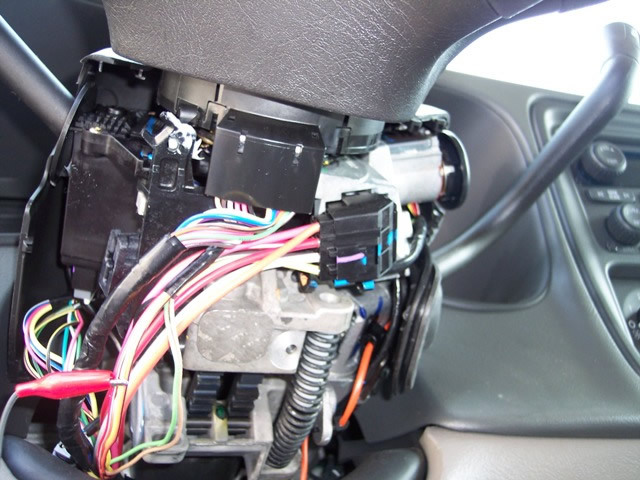 The BCM (Body Control Module) is located behind the DRIVERS SIDE of the DASH, with the plugs facing the REAR of the VEHICLE.